Summer movie blockbusters are usually big budget, big action, and big special effects extravaganzas. Sometimes you just want to be entertained by a movie, instead of being challenged or working hard to understand the motivations and consequences of the characters’ choices. And sometimes a little after-credits discussion is just what you need to get more out your movie tickets. 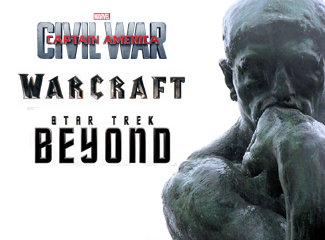 Here are 3 summer movies that give us something different to talk with our family, friends, and older children after the show is over: “Captain America: Civil War,” “Warcraft,” and “Star Trek Beyond.” Unfortunately, I didn’t see any family movies this summer; these three movies all deal with war, battles, and the need for teamwork. Note: There are spoilers in this post, so please don’t read further if you haven’t seen the movies. “Captain America: Civil War” (2016) is an action-packed thriller about acts of terrorism that provoke the government into imposing more controls over people with enhanced abilities. There’s really no reason for some of the fight scenes and explosions except pure entertainment. * Friendship vs. upholding the law. Steve Rogers unequivocally believes that his friend Bucky is innocent, and helps him evade the police. He chooses his loyalty to his friend over upholding the law, without any evidence that Bucky is innocent. On the other hand, law enforcement preemptively assumes that Bucky is guilty based on a partial image and no evidence of Bucky’s guilt. How far would you go for friendship? * Freedom vs. security. After the Battle of Sakovia, government leaders wanted to register and monitor all people with superpowers, so that such devastation couldn’t happen again. You could argue that the destruction was caused by Ultron, a product of technology – yet there were no calls for limits on scientific research. If you had a superpower, would you be willing to be registered, tagged, and monitored? Would you give up your freedom so that other people could feel safer? What if it’s not superpowers, but gun ownership? * Trust individuals or government leaders. Tony Stark believes that people with superpowers should be registered, monitored, and called upon if there is an emergency. He believes that individuals cannot be trusted to do the right thing, because we are all flawed. Steve Rogers believes that people with superpowers should be free to act in an emergency, whereas government leaders may have different agendas and may not cooperate with other world leaders. He believes that individuals are basically altruistic and can be trusted to do the right thing. Who do you trust with power – individuals or government leaders? Who would you trust in a crisis? “Warcraft” (2016) is an exciting fantasy about orc warriors who leave their dying world to take over a peaceful realm. * Judging people by appearances. The humans on Azeroth seem to easily trust half-orc, half-human Garona because she looks human and speaks their language. Lady Taria gives Garona her first weapon. King Llane trusts her to become an orc leader and work for peace. Garona doesn’t actually do much to gain their trust, except speak to them, not try to escape, not attack them, and not betray them during battle (things a spy might do to gain their trust). * Does might make right? Their world is dying and the orc leader Gul’dan believes that because they have superior strength, they have the right to invade other lands. He also believes that because he can control the fel, he has the right to gain power by killing others and force orcs to be changed by fel magic. Just because you can do something, does that mean you should? In Hawaii, did Kamehameha have the right to conquer the islands because he had a prophecy, the strength, and an army to back him up? * Power and responsibility. Azeroth is a peaceful and abundant land, where people generally get along with other races. Do they have a moral obligation to help refugees from a dying land? If someone needs help, are you obligated to help them? * Power corrupts. Fel magic physically changes orcs and humans, and seems to change their personalities too, making them do things they would not otherwise have done. The Guardian Medivh admits that he doesn’t remember everything he has done under the influence of the fel. Is the orc leader Gul’dan a victim of fel magic himself? And a related question: can fel magic be used for good? Is someone who was healed by fel magic, like Durotan’s newborn son, irredeemable? “Star Trek Beyond” (2016) is a striking science fiction adventure in which the crew of the USS Enterprise end up stranded on an isolated planet, facing a ruthless enemy determined to destroy the Federation. * It is easy to lose our way. Kirk has doubts about continuing to captain the Enterprise, and Spock questions his commitment to the Enterprise’s exploratory mission. It takes a shared danger to reaffirm their commitment to the Enterprise, which has become their family. Even Krall has lost his way as a warrior who fought to protect his people, becoming a warrior who wants to annihilate others. Side note: I had an odd “The Princess Bride” flashback when Jaylah confronts Manas, the warrior who killed her father. What were your favorite movies of the summer? What did you like best about them? What could they teach you? On the day of the Hawaii primary election, there were longer lines to get the Hepatitis A vaccine than there was at our neighborhood polling place. The Honolulu clinic was professional and organized. Hepatitis A vaccines were free. I stood in line, answered three questions, signed my name, and went to one of the stations to receive a shot in the arm and a band-aid. Our polling place was efficient and orderly. I stood in line, signed my name, received a ballot, went to one of the curtained desks to fill out the ballot, and put the ballot in the ballot machine. Knowing that we may soon switch to mail-in or electronic voting, I wanted to vote at my polling place to feel part of my community. I decided to get the vaccination because I want to take care of myself and the people around me. The vaccine is supposed to last a lifetime, and I didn’t want to worry every time I bought groceries or ate at a restaurant.. I voted because it is both a duty and a privilege to vote, and to be reasonably informed about candidates and issues. The decisions our elected representatives make could affect us for many years after they are out of office. As of August 10, 2016, there are 168 confirmed cases of Hepatitis A, according to the Hawaii Department of Health. I don’t know how many people have received the vaccination, but people are vigilant about their health: news reports say that pharmacies are seeing an influx of people seeking vaccinations, and insurance companies are responding to concerns by offering prescriptions or free or low-cost vaccinations. In the 2016 Hawaii primary election, 252,703 voters (34.8% of registered voters) determined the outcome of US Congress, State Legislature, city mayor, and OHA races, according to the Hawaii Office of Elections. Our health may not be directly affected by elections, but too few Hawaii residents are vigilant about our peace of mind, our quality of living, and our wallets. Did you vote in the Hawaii primary election? Did you make choices for good candidates or against poor candidates? Some books we read and enjoy in the moment. Some books we read over and over, like comfort food, because they tell us something we need to hear. And some books stick with us for the rest of our lives, even if we never read them again. 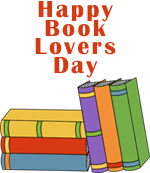 In honor of National Book Lovers Day, a day to celebrate readers everywhere, I decided to share 6 influential books from my childhood and youth – and what I learned from them. * “The Little Princess” (1905) by Frances Hodgson Burnett. Separated from her beloved father, Sara Crewe went from privilege to poverty at an exclusive boarding school. Despite dealing with disagreeable students, bewildered friends, and distrustful animals, and often going hungry, she was always kind, optimistic, and open to wonder. She used her imagination to make her life and the lives of her friends better. It taught me that we cannot choose our circumstances, but we can choose how we react to adversity. * “Dragonsong” (1976) and “Dragonsinger” (1977) by Anne McCaffrey. Menolly refused to give up music, despite her parents’ disapproval and a serious injury to her hand, and even left the comfort and safety of her home to keep playing music. It taught me that when you find something you are passionate about, you need to pursue your dream. * “The Blue Sword” (1982) and “The Hero and the Crown” (1984) by Robin McKinley. Newcomer Angharad “Harry” Crewe and reluctant princess Aerin are both out-of-place and disregarded, but they become warriors who save their people. It taught me that you need inner strength and fortitude as well as physical strength to be a hero. * “Pawn of Prophecy” (1984) by David Eddings. Garion is a scullery boy whose safe life on a farm is exchanged for a life on the road filled with danger, excitement, and magic. His practical, sheltered upbringing is challenged by events he doesn’t understand and can’t explain. Mister Wolf reveals, “When you get right down to it, nothing – or at least very little – is actually impossible.” It taught me that we don’t know everything we think we do, and almost anything is possible. * “Dorsai!” (1959) by Gordon R. Dickson and “Dune” (1965) by Frank Herbert. Donal Graeme is a military genius who rises to prominence to face a ruthless interstellar businessman; and Paul Atreides is a psychic nobleman who rises to lead the Fremen of Arrakis against the Emperor. Both are the result of warrior cultures and breeding programs that created a kind of superman. Despite the limited female protagonists, these futuristic science fiction novels taught me that humans have the potential to evolve and become better. However, those gifted people at the forefront of change (enhanced, mutant, Inhuman) can inspire both wonder and fear. * “Arrows of the Queen” (1987) by Mercedes Lackey. Talia grows up in a society where women are viewed as inferior and women’s choices are limited. Her life changes when is Chosen by a Companion of Valdemar to serve the kingdom. It taught me that honor, responsibility, and hard work are rewarded. While coming up with this list, I realized that I’ve only read a few of these books as an adult. I’m almost positive that if I were to read these books today, I would focus on different things and take away different meanings than from when I was younger. There are several books that I absolutely loved, but I never felt the urge to re-read them – like “A Wrinkle in Time” (1962) by Madeline L’Engle, “Over Sea, Under Stone” (1965) by Susan Cooper, and “The Black Cauldron” (1965) by Lloyd Alexander. Some of the books I remember from childhood are not the same when I read through with adult eyes – like “The Secret Garden” (1911) by Frances Hodgson Burnett. I think we take away the meanings and values that we need at the time, without worrying about the rest. Which books influenced your childhood? Do you have “comfort books” that you turn to, or do you rarely read a book more than once? I could be considered a Honolulu-born sansei as well. My maternal grandparents were the first generation born in Hawaii. My paternal family has been in Hawaii longer, and my father taught in a local public high school for over 30 years. So I was curious to read about Higa’s sansei perspective and experiences. 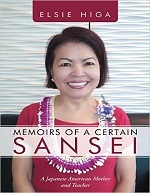 Optimistic, practical, and easy to read, “Memoirs of a Certain Sansei: A Japanese American Mother and Teacher” (2015) by Elsie Higa, a Japanese language teacher at ‘Iolani School in Honolulu and mother of three, is a collection of experiences and advice “to create a new generation of caring and responsible young adults.” Higa is a sansei, a third-generation Japanese American who still observes traditional Japanese values and passes them on to her children and students. Much of the writing is done by Higa’s adult-age children and students – evidence that her teaching values and attitudes are effective and deeply appreciated. We see her mostly through the eyes of her children and students, and Higa’s love of teaching really shines through. The book is divided into three sections: The Early Years and what Higa learned from her former teachers; As a Mother, with entries from her children Shawn, Charlene and Amy; and As a Teacher, with excerpts from students’ end-of-the-year course evaluations. Advice from her Early Years: Befriend students who are different and treat all students fairly. Provide hands-on activities, friendly competitions, and skits. Challenge students to do better. Keep personal problems out of the classroom. Advice from a Mother: It doesn’t matter where you live or how much stuff you have – what matters is love and quality time. Treat children like adults – give them a sense of sekinin (personal responsibility) and give them opportunities to make their own choices. Teach siblings to share. Be on time to show your respect for others. Advice from a Teacher: Create welcoming and positive classroom that is a safe haven. Don’t tease or embarrass students – take them aside with any criticism. Smile and sound excited. Play games to make sure that everyone knows each others’ names and to help them build friendships. Expect responsible behavior and good manners. Keep your word. State your expectations clearly. Have a clear agenda/schedule on the board every day. Have students serve as “Teacher for the Day” to help correct homework, develop leadership skills, and let the teacher circulate around the classroom for individual attention. Ask for parent involvement to extend lessons outside the classroom. My experience growing up has been very different from Higa’s, more local than Japanese. I really enjoyed reading about Higa’s teaching experiences, her focus on giving students personal responsibility, and the practical wisdom she shares. In Hawaii, we don’t only have a housing problem. We have a jobs-and-housing problem. It’s not enough to find people affordable housing. People need jobs so that they can afford their affordable housing. Unfortunately, most of our public assistance programs address either job training or homelessness, but not both. The Hawaii Department of Labor and Industrial Relations has over 1500 job training programs from 42 “eligible training providers” (ETPs). The Hawaii Department of Human Services coordinates 22 agencies, 13 emergency shelters, and 32 traditional shelters across the state. We have rent subsidies, public housing, and weekly “cleanups” to clear public sidewalks. I believe that we need more programs to assist with housing and employment. I thought about Hawaii’s current job market (tourism), Hawaii’s recent history (plantations), and Hawaii’s isolated geography. Here are 3 off-the-cuff ideas that combine jobs and housing. Hotel room and board program. In Hawaii, tourism is one of our largest industries, employing over 150,000 people in 2010, according to the Hawaii Tourism Authority. We could create new property tax categories to allow hotels and resorts to set aside a limited number of rooms for employees. Hotels could pay a lower wage in return for providing a room, or receive a small tax credit by offering rooms to employees at subsidized rates. Hotels could even set aside an entire floor for employees, who could apply for a room by showing financial hardship. Public parks caretakers. In Honolulu alone, the Department of Parks and Recreation (DPR) manages 290 named parks on 5,200 acres of land, employing over 1,800 people. To help maintain the parks and deter vandalism, the DPR could create a “Park Caretaker” program for larger staffed parks. Similar to a plantation community, one or two families could live in caretaker cabins, as long as at least one member of the household is employed by the park. Job relocation program. Hawaii is an expensive place to live and the job market is limited. Sometimes we have to make the hard decision to move to cities where there are jobs and companies are desperate for qualified workers. A job relation program could help people find jobs in other states with larger job markets and more affordable housing. We could help individuals with resume writing, job applications, interviews, business attire, moving expenses, finding a first apartment, and even enrolling in schools. Teams of 2-5 individuals or families could even go through the job relocation program together, moving to the same city at the same time, perhaps initially living as roommates. They would become a built-in support network for advice, friendship, and even emergency babysitting. What housing programs you consider successful in Hawaii? Do you think that Hawaii is doing a good job of addressing the affordable housing issue? Is it government’s responsibility to find homes for everyone? You are currently browsing the Better Hawaii weblog archives for August 2016.